Closed loop temperature control units isolate the water that is circulated through the process from the cooling water compared to a direct injection type unit where the cooling water is used to fill the unit and is mixed directly with the process water when cooling is required. 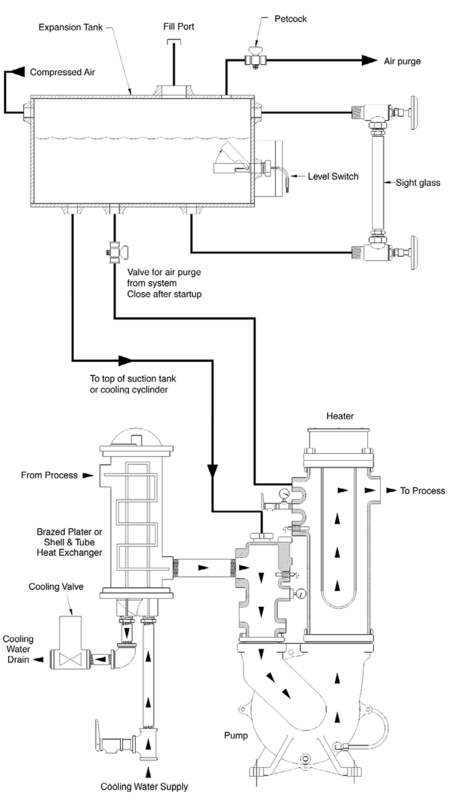 A closed loop unit with expansion tank is desirable when the cooling water may be dirty or contain impurities that need to be kept out of the processing equipment or when the process fluid must be different from the cooling fluid. For example if a glycol & water mixture is available for cooling but the processing equipment requires straight water. 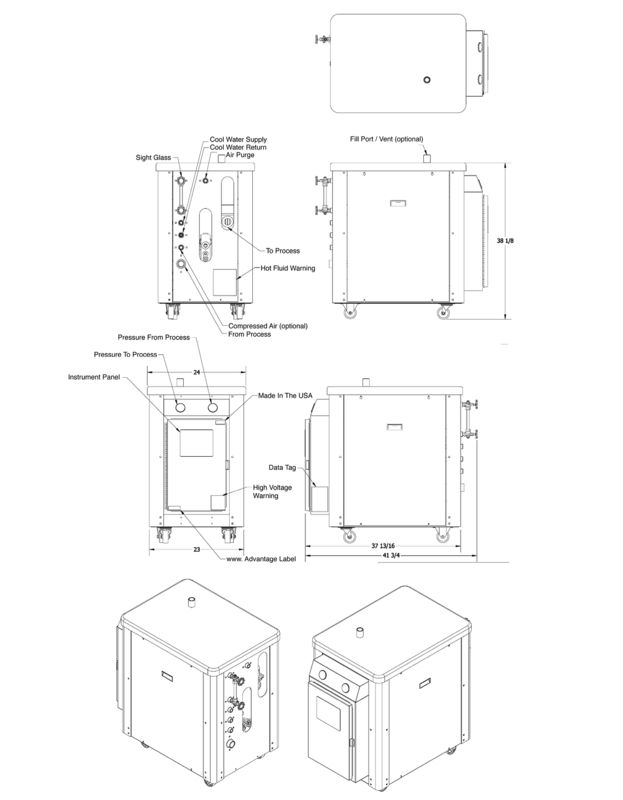 A closed loop unit with expansion tank can be configured for heating only or for both heating and cooling. When configured for heating only, a heat exchanger and cooling valve are not included. When both heating and cooling are required, particular attention must be paid to the selection of the heat exchanger to be sure that it has adequate cooling capacity to support the process. The unit can be equipped with an Advantage VE, G-Series or Temptender control instrument or a commercial control instrument can be used when direct control of the product is required rather than control of the circulating fluid. The temperature range is determined by the heat exchanger selection on the low side up to 180°F. The upper limit can be extended to 250°F with the addition of compressed air to pressurize and keep the process water from boiling. Would you like to Download FYI #309 to your browser?